We’d love your help. Let us know what’s wrong with this preview of Dawned by Charlene Johnson. internal From the Circle of the Red Scorpion series, is the love story that started it all. 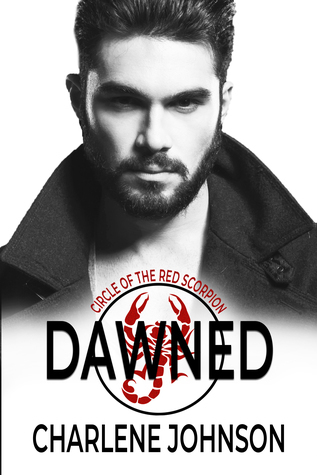 To ask other readers questions about Dawned, please sign up. Absolutely awesome! I am so glad that Charlene wrote this book about Broderick and Elise! It gives so much meaning to who they are and why they did what they did- even though it was touched on in Shattered and Avenged! They are an amazing couple that just had life get in the way and evil forces keeping it that way! So many people claim to love but their story is truly a forever love one! Addicted to the series, absolutely love it. Each book just gets better and better every time I read a book from the series. Wonderful characters that can be related to. These books you won't want to put down, you'll be hooked from the start, I enjoyed reading them. I'd recommend your books to anyone. Loaded up with a drink so I could cuddle up and read it. Broderick Devereaux's heart wrenching story of true love, betrayal and death. There are two books prior to this story "Shattered and Avenged". Excellent books. I highly recommend the entire series. I received a free copy of this book via Booksprout and am voluntarily leaving a review. This is my favorite of the series - Broderick and Elise's story was full of emotions and suspense and I recommend reading the whole Red Scorpion series to get the full story! Solomon has brought so much trouble to Broderick's doorstep, and it was an exciting read all the way! This is the third book in the series that will keep you devouring the pages. This has wonderful characters and storyline. I would definitely recommend this series.